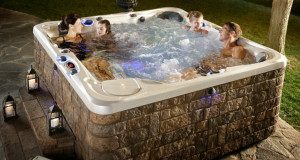 Hot tub.. Spa.. Jacuzzi… They all mean the same, and come in all different shapes, sizes, prices points and with multiple features. 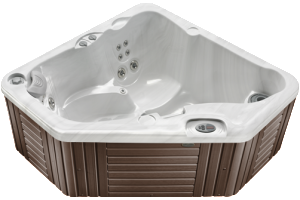 There are so many different hot tubs on the market, it is a big decision when it comes to choosing one. Understand why you are buying a spa. Will it be to relax those sore muscles in your neck? Entertainment point at your next gathering? Or maybe you just need a place to escape when you finally need to slow down the pace of life and relax. First, choose a reputable brand from a reputable dealer. Our goal at Paradise, is to making sure you have an enjoyable experience starting from the moment you walk into our showroom doors. We will walk you through every step from testing the comfort of the seats, to the delivery of your Spa, Guide you through the maintenance needed, and any warranty or service work that needs to be performed. Paradise has been in business for almost 20 years, with well train staff that can answer any question that comes to mind. The Dealer and the Brand Name are equally important in the purchasing process. Both are A+ rated companies with different features available in their Spas. Dimension one currently has 20 different models of Spas. Each series carries its own warranties, features, models and choices. The Same goes for Caldera. 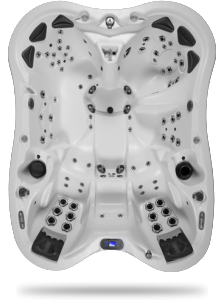 Caldera has 13 different models that fall in the 3 different Series of Spas. Next, try and narrow down what features of the spa are a must for you in your purchase. This will help narrow down the bunch. – Lounge? – Do you want a lounge in the spa? Will it be essential in your relaxation and muscle therapy? Or do you plan on entertaining and want as much seating at possible allowing the lounge to take up too much space? – Jets? The more the merrier right!? Wrong. Your looking to escape to your spa to make your body feel better. You want to make sure you have the jets that would best for you. Yes, that one model may have hundreds of jets, but if they all hit in the same spot, or not in the proper spots, than whats the good in that? Maybe you stand on your feet all day. Look at a spa that has foot and calf jets. Maybe you type all day at a computer? Wrist jets. Bad posture? Bad back? Exactly, Back Jets! But do you need upper back or lower back? You need to sit back and think of what would work the best for you. 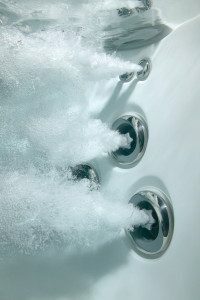 Then, the sales rep can show you the options of jets and spas you have that would work best for your person needs to relax. – Music? TV? For some, those features are a must. Others not so much. Again, you need to consider what YOU need. Some people relax better while listening to soft music. Others prefer silence. Entertaining? Bluetooth may be ideal for you! The Spas come in many different options. Rectangle, Square, Circle, Triangle and Freeform! The shapes allow you to fit the spas in space restricted areas,( you can easy put a square, rectangle or triangle anywhere!) Or! bring a little character to your backyard with a freeform spa! The Spas come in a multitude of sizes as well. For example the Sarena Bay is a freeform and is 10 ft at its widest point! And, of course, many other spas in different sizes in between. Yes, we all want the best features when buying spa. Making sure we can all afford one is the main purpose of the different series of Spas. Financing your spa may also allow you to enjoy even on a tight budget. Purchasing your new spa is a big decision. Make sure you are getting the right one for you! Stop in the store and let the professionals help you and see which spa is right for you! Want to Read More about our Spas? Read HERE to hear about what we have on our showroom floor! or HERE to learn how to care for your new spa! 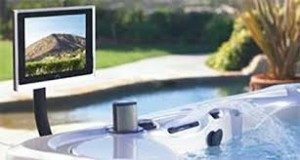 Pool and Spa SUPPLIES IN SUSSEX COUNTY AND SURROUNDING LOCAL AREAS OF NORTHERN, NJ. We have all the supplies you need for you to enjoy your new spa in Sussex County, Northern New Jersey. Our products include chemicals, equipment, parts and the l Visit our newly renovated and expanded show room in Hamburg NJ. We also service all brands and models of Spas/Hot Tubs!